This image shows documentation of audience interaction with "Seated Woman." 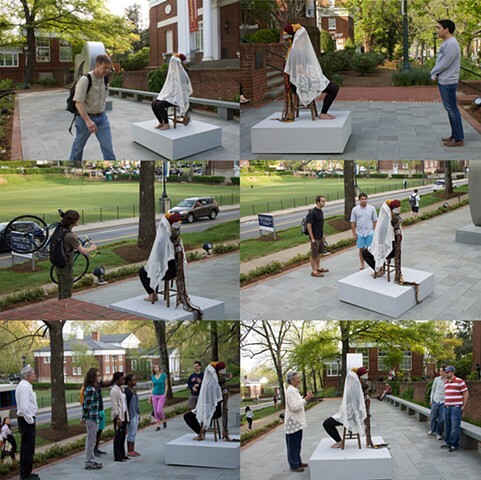 The performance took place in front of the university art museum, which is located near a central part of campus and on the main artery between classes and fraternity houses/off-campus housing. A wide range of students and community members passed by with varying levels of engagement.